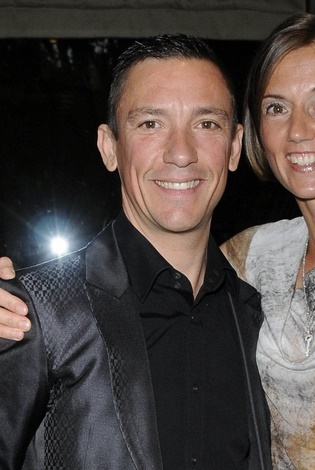 Frankie Dettori is an Italian-born, British-based horse racing jockey. He has been described as the best jockey currently riding; during his career, he has won more than 500 horse races. Frankie’s father, Gianfranco Dettori, is a horse racing jockey, who was born in Serramanna, Sardinia, Italy. Frankie’s mother, Iris Maria Niemen, was born in Milan, Italy. She mother is a member of Niemen circus family. Frankie’s maternal grandmother was named Secondina. She was born in Casalpusterlengo, Province of Lodi, Lombardy, Italy. his mother is a member of Niemen circus family. Hence I am pretty sure his mother has at least some Romani ancestry too. his mother is Iris Maria Niemen, who was born in Milan, Italy. Iris’s mother was named Secondina, and was born in Casalpusterlengo, Province of Lodi, Lombardy, Italy.